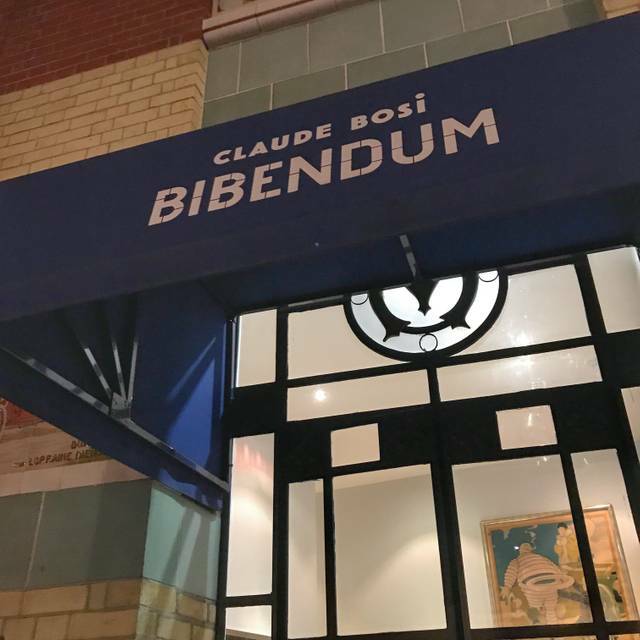 As the newly installed resident of South Kensington’s iconic Michelin building, celebrated French chef Claude Bosi launches Claude Bosi at Bibendum with a ground-floor seafood and oyster bar and first-floor restaurant which is ‘unashamedly fine dining’, with the chef's signature contemporary and light-hearted flair. The a la carte features brand new dishes alongside classics from the original Bibendum and the chef’s Michelin-starred alma matter, with ingredients sourced predominantly from the British Isles and France. The striking upstairs dining room with its dramatic and iconic floor-to-ceiling stained glass windows has been redesigned to house a larger central open kitchen. The light and airy dining room will feature the original Conran chairs with a soft colour palate of muted blues. Needless to address further on the quality of the cuisine and service. The stars of the night for me were 1. the attentiveness and proficiency of the sommelier, the wine selected for each dishes were stunning, Pieropan (Amarone della Valpolicella) with Brittany rabbit in particular. 2. The dual sauce (rabbit jue and lobster bisque) in “ Brittany rabbit with langoustine, artichoke and barigoule”, orinary mind would not imagin that it will work, yet this is a plate of extraordinary! Amazing! What a memorable evening. 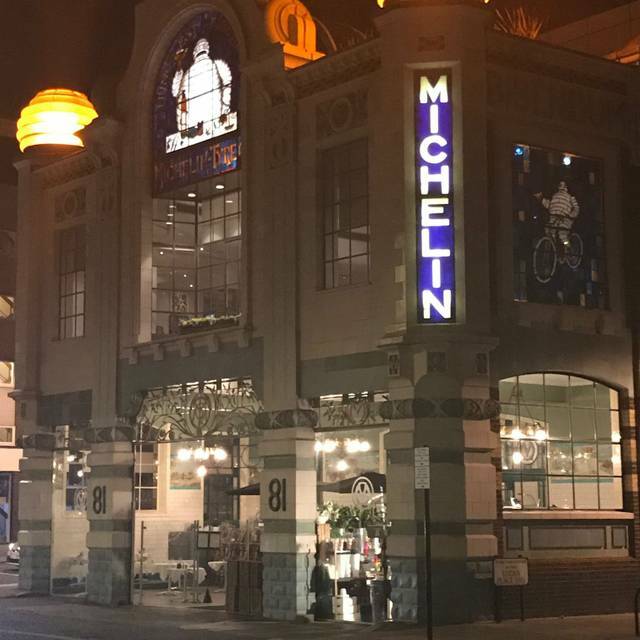 We do not typically dine at restaurants such as Bibendum, but opted to do so in celebration of a couple of special occasions. And the evening was made to feel exactly that, special. The food was, as expected, fantastic. There were surprises throughout our meal, little playful elements that made us smile but sacrificed nothing in taste. However, the staff made the evening just as much as the food did. From the Restaurant Manager on, everyone came to our table with both thoughtfulness and with a smile. They catered perfectly to our dietary requirements and did so with tact and subtlety. The little touches did not go unnoticed and were massively appreciated. 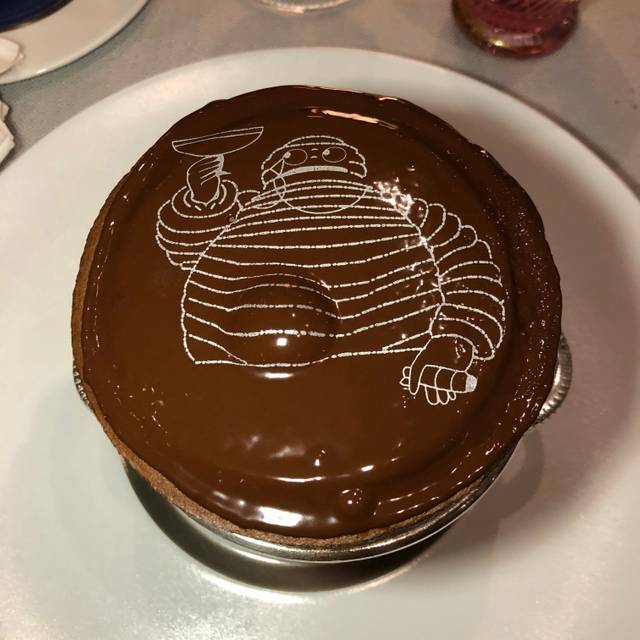 I will most definitely return to dine at Bibendum. The food was incredible and the service a different class. 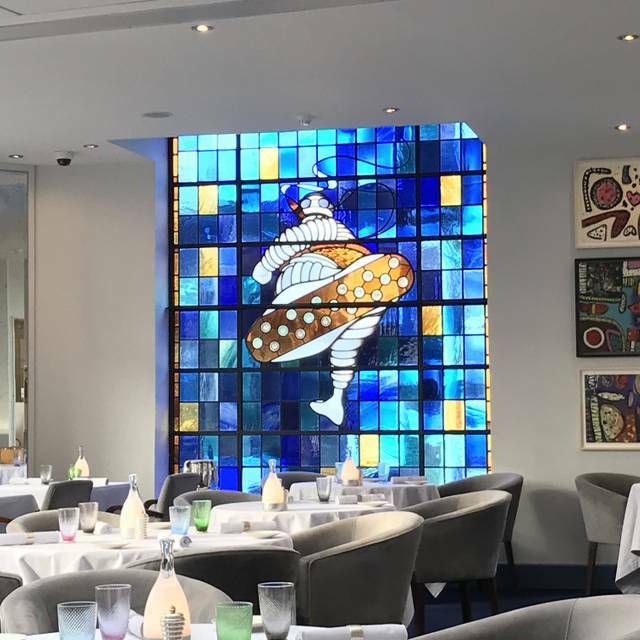 I was really looking forward to dinner at Bibendum with my husband for our anniversary. My husband and I just moved to London from Paris, and so we chose a Michelin Star-rated French restaurant in hopes of having a similar experience to fine dining in Paris. Although the service was spot-on and the ambience was nice, the food just wasn't up to par. It was obvious a lot of preparation had been put into the food, but many of the dishes were nearly inedible. They somehow managed to make the scallop appetiser taste like shampoo, the rabbit main was chewy and cold and the only thing I could taste in my black forest cake was alcohol. 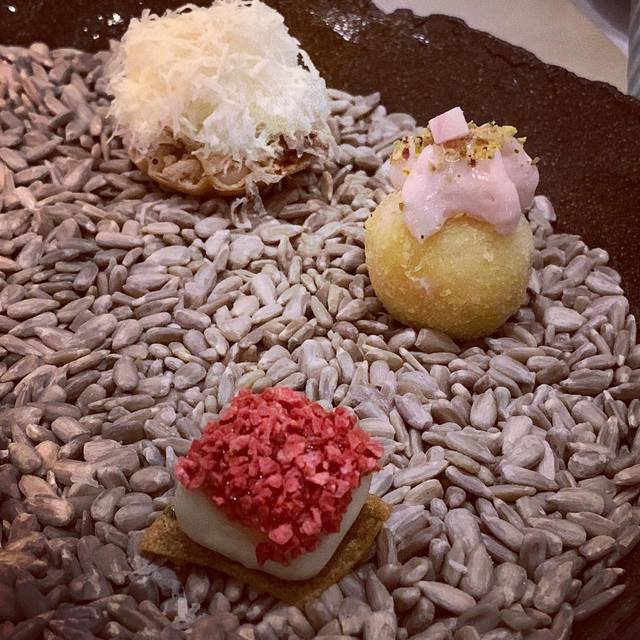 The amuse-bouches were quite delicious though, the only redeeming aspect of the food. I chose a Valpolicella glass of wine, which was fine, but the nose on it wasn't at all aromatic, just smelled like day-old table wine. All that being said, the service was indeed immaculate and the servers were charming and knowledgeable. Unfortunately, I won't be returning because I cannot justify the price if the food isn't enjoyable. The quality and imagination of the food was outstanding and a delight. The service was good but a little over attentive and the space between the tables allowed good levels of privacy and intimacy. The restaurant seemed lacking in atmosphere, I know it’s perverse given it was lunch but it seemed too bright, if the light levels could be brought down a bit it would seem more theatrical and special. The explanation for its 'surprise menu’ does not make sense, since all of the courses can be found in the menu. However, I was not told what I would have during this dinner service. Another disappointing thing is about my girlfriend's wallet. She could not find her wallet after this dinner, which was put in her bag. She insists that her bag was opened during this dinner service. To sum up, I have reservations about this dinner. The service and the safety of personal belongings were not satisfying enough. A fabulous setting for a Mother’s Day lunch for wife and I plus six year old son. Waiting and restaurant staff helped entertain my son even including a visit to the kitchen. The food was perfect and the staff very attentive. Whilst on the pricey side, for special occasions is worth every penny. Incredible service, lovely location, and nice food. However two taster menus and a bottle of wine came to £400! Excellent food, wonderful room. Tables not too close to one another. Service was fantastic. We had eaten at Hibiscus and at Bibendum years ago. But this was by far the best. Will definitely return. Overall this was just a wonderful experience and we’ll be back again. The welcoming the amuse bouche were divine. One of the reasons I went back!! And of course the food was divine. Desert was number 1. We also got to go in the kitchen and meet the chef and sous chef. They were most welcoming and nice. I do recommend it. This was certainly one of the very best meals we have had anywhere, outstanding across all three courses. (Veal sweetbreads were particularly enjoyable.) The dining area is pleasant, at least for dinner, and the ambience is reasonably vibrant but not noisy. Service is excellent. The evening was very far from inexpensive! However, it was money well spent. Excellent classic venue and exceptional service, attentive but not intrusive. We were well looked after and the food was amazing all rounded off by a visit to the kitchen to meet the Chef.. Cant wait to go back. We stated it was a birthday celebration when booking and reminded them again when ordering our desserts. They promised doing something special but nothing. It was my son's 21st birthday, what a disappointment. La mia esperienza è stata eccezionale! Cena in famiglia con mio padre e mio figlio. Tutto perfetto dall accoglienza alla fine. Servizio eccellente...insomma tutto perfetto. We had a lovely carafe of Gavi di Gavi in the Oyster Bar beforehand served with smiles and warm friendship in a lovely surrounding. Then onto the restaurant upstairs. We were greeted like royalty by the fine young gentleman at the desk and led to our table. It was a beautiful room with marvellous satined glass windows of the 'Michelin Man' on either side and to the front. As an unadventurous eater I always slightly fear the special little delicacies that are offered along the way, but these were just outstanding..scintillating to taste as well as to observe. After selecting my favourite starter of all, Fois gras which was delicately cooked with two amazing infused dates on the side that I could eat every day, we went for broke and selected the Bresse chicken. It was carved up on the side and came with sides of pureed mash and brussels sprouts that seemed to have been grated. normally I hate sprouts but these were delicious as was everything else, it was a terrific choice. As we had to leave to get to another commitment we just had time to enjoy a delicate desert between us with a candle in it which was a sweet last touch to the whole experience. Claude Bosi's cooking was immaculate, easily along with Roux Jnr, now my favourite Michellin Chef. However, what made it even more splendid was the staff. Every single one of them were brilliant, in terms of politeness, sociability, and consummate knowing of when and when not to other us. The sommeliers advice on the cheapest of whites we had with the chicken was excellent and we never made to feel inferior at any time. The entire team is a credit to Claude. We vowed to return for my brothers 60th in April 2021, many thanks guys !! A warm welcome. Each course was an exciting new taste sensation. 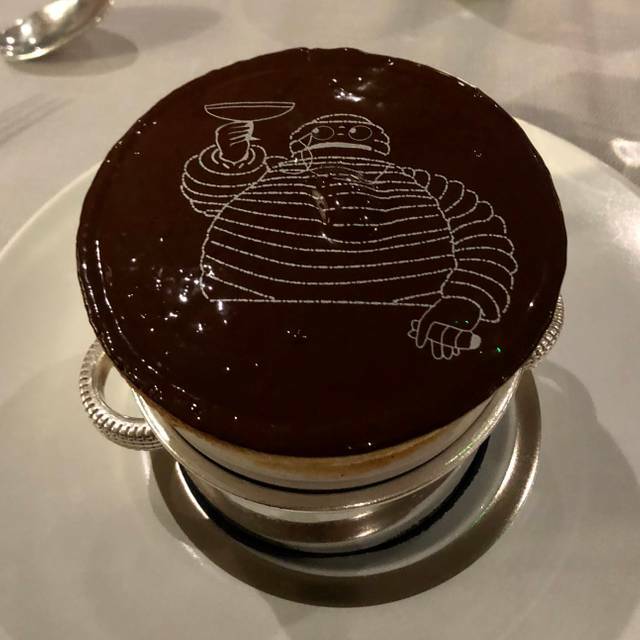 Surprises, interesting ingredient combinations, the best freshest of ingredients, supurb wines, all with professional relaxed service in the light spacious room overlooked by “Mr Michelin”. A real treat and top gastronomic experience. Wonderful lunch, great food & drink. Service friendly and efficient. Interesting building, comfortable chairs. Expensive but we expected that, a once in a while treat. Plain,awful food in a wonderful environment still. This place has been ruined by reputation and neglect. A bright airy dining room with exquisite decor. The Chef came out to introduce himself which was massively impressive. We were so delighted. I don’t even know how to begin to describe the food- it was artistic - food theatre even. The finest French food- I had melt in the mouth lamb carved at the table and my friend had the freshest fish ever for our main courses. The service was professional, smooth and thoughtful. We did not want for anything. The meal was a Birthday treat for a friend and I would definitely recommend this restaurant for a special occasion- it’s expensive but impressive, so be prepared. Another time at the Bibendum and another remarkable evening. Very very good! Fantastic venue wanted to go there for years.The reception and staff could not have been more helpful. I choose the tasting menu which was very interesting with a great selection wine for each course. Servise staff went to great lengths to explain the dishes and the wines. It was a bonus to chat with Claude after the meal. Food was great, full of surprises and very delicious but service wise, there can be room for improvement. Staff weren’t attentive enough (perhaps not enough staff?). Often we had to wait for a while before someone could take care of our requests. Usually with other 2 or 3 Michelin stars restaurants, as long as you turn your head around, people will come to you straight away. Just do not feel that warm welcome we usually encounter with other same level of restaurants. Exquisite thank you very much. The food was innovative, beautifully presented, and delicious with extremely successfully combinations of flavors and textures. The service was impeccable and formal, but friendly. We feel this restaurant deserves 3 Michelin Stars. It was a delightful experience. 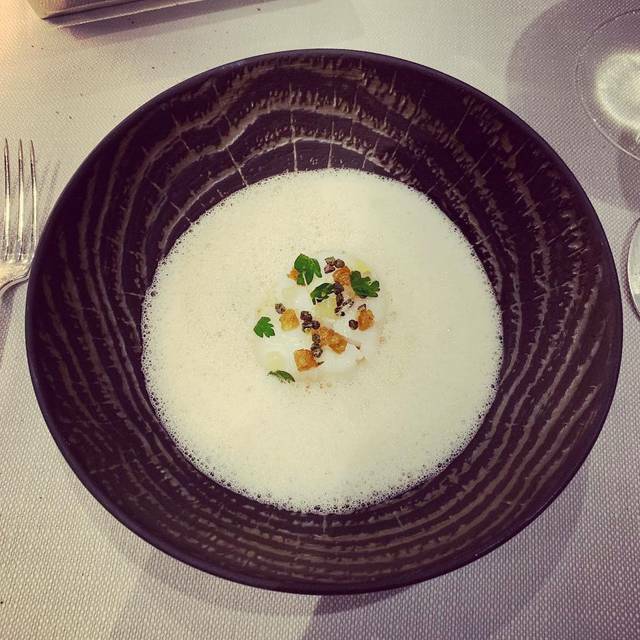 Delicious and creative menu with stunning amuse bouche and attentive, friendly service. The light and spacious dining room enhances the experience and 3 hours flew by. The music level could be toned down and I was surprised that our pre-dinner drinks in the Remy Martin bar downstairs could not be transferred to the restaurant as they are the same company. Overall though a memorable evening. Fantastic evening for my 60th birthday. What a beautiful atmosphere in the old Michelin house. The chef is so creativ. Thanks for this evening! Flavors were very well balanced, textures were on point, and presentation was a piece of art. helpful. Awesome food and a great place to eat. Had a really wonderful experience. Glad we got to check it out while on London. This was the perfect restaurant for a couple. The staff couldn’t have been more attentive and this was the best service I have ever received. The food was incredible and they worked hard to ensure I was happy with my food (I am a vegetarian). We even had a waiter become our photographer for the evening! Absolutely perfect in ever way. The experience was wonderful from start to finish. The service was impeccable and there was no waiting around but nor did it seem rushed. We are avid watchers of Professional Masterchef & enjoy the visits to the best restaurants in the world. This was reminiscent of the best of these. The canapés were stunning. We went for a la carter and we’re glad we did as the dishes were every bit as good as we hoped for. My husband enjoyed his confit duck leg - something he had always wanted to try - and my fish was sublime. However the outstanding course for both of us was the dessert course. The cep and the savarin were both exceptional. It is truly deserving of its two Michelin stars. In my top five restaurants in london. Will be going again soon. Catered to all our likes and dislikes and dealt with food allergy very well. Extremely impressed. Amazing. We did the tasing menu for lunch and it was a super fun experience with great and creative food. Plus, the history is an added bonus! One of the best meals we've ever had. We loved the eclectic music playlist which showed that this isn't a restaurant that's overly self-important. Amazing service and wonderful innovative dishes. Fully worthy of two stars if not more. We're coming back avec enfants next time! 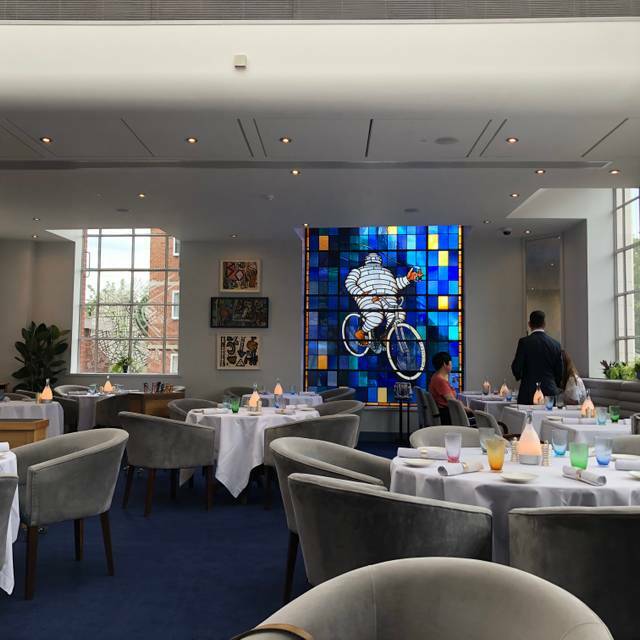 We used to go to Bibendum regularly for many years for my birthday lunch - the room is my favourite restaurant space in London. We stopped going after the food quality started to decline, then when Claude Bosi took over we went back December 2017 and we thought it was excellent. We were disappointed to find this time (Feb 2019) that there was no set lunch menu any more - there was one 'lunch option' main, which was meat, so unsuitable for my wife. Also we were surprised there was no bottle of wine available for less than £40. We opted for the cheapest individual glasses of wine at £9 but these were dispensed through a Coravin wine preservation system which spat out tiny bursts of wine, sprayed all round the glass - very messy, and nor were we sure we'd been given the 125ml we paid for. Also the coffee options were just one type at £10 and two at £7 which were Nespresso capsules, albeit their fine dining range. At that price (or even in a café) I would like my coffee made by hand. The food was generally very good, if a little over wrought, and the canapés and after-dinner chocolates we were given were delightful. 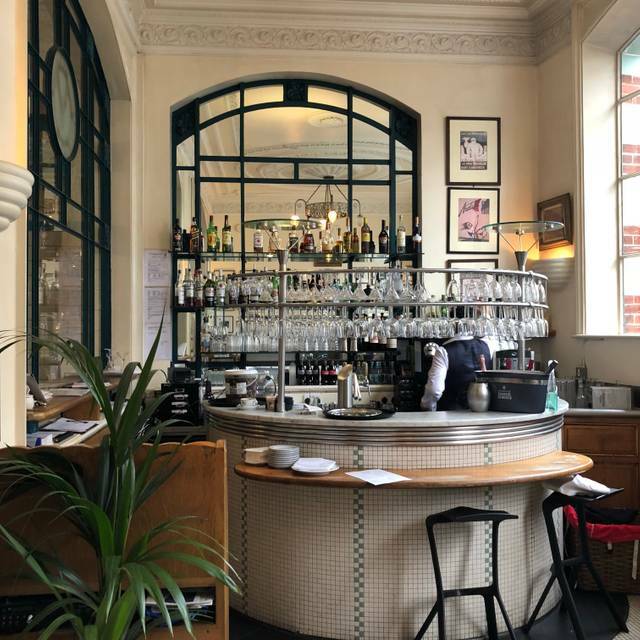 We understand that you get what you pay for but unfortunately without the set lunch menu and with the extortionate cost of drinks, Bibendum has moved into a league too exclusive for us, which is a great shame.